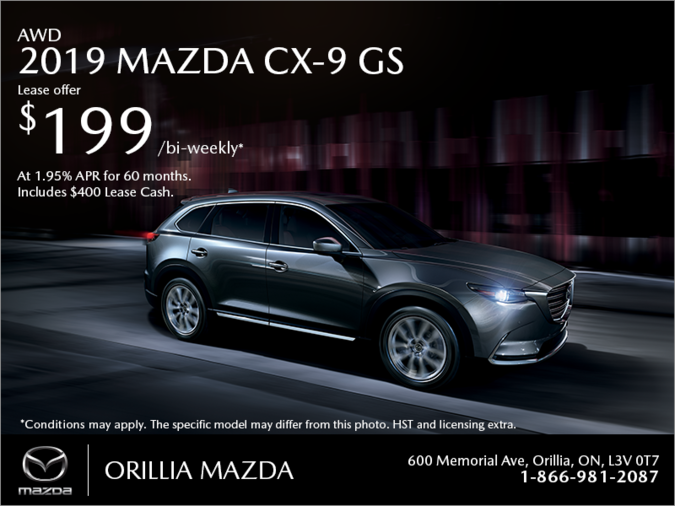 Orillia Mazda | Get the 2019 Mazda CX-9 Today! Home > Special Offers > Manufacturer's Programs > Get the 2019 Mazda CX-9 Today! Lease the 2019 Mazda CX-9 GS from only $199 bi-weekly at 1.95% APR for 60 months with $4,395 down!